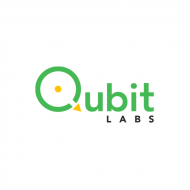 Founded in 2015, Qubit Labs is an award-winning software development company with a headquarter in Estonia and R&D center in Ukraine. We build strategic partnership with our clients providing them a wide range of IT services including web and mobile development, artificial intelligence and blockchain, solutions for e-commerce and game industries, etc. Our company hires best talents to offer premium IT staffing services. Software developers, engineers, architects, QA engineers, business analysts, PMs – all these experts can become a part of your in-house team to ensure true value for your business.